We arrived in Orlando on Monday to meet with our client teams at Disney and EA’s Tiburon division. The Tiburon group owns the EA Sports titles that we have all come to know and love. NCAA, Madden, Tiger, Nascar… It all happens here. Being in Orlando reminds me of the first time I was here back in 1996. For those of you that don’t know, I am an alumni of the University of Oklahoma. I bleed crimson and cream and I have an insane amount of loyalty to my university and it showed. While I was a student at OU, I was the mascot for the University of Oklahoma men’s basketball team, Top Daug. I did this from the spring of 1994 to the start of the 1998 season. Yes you are probably wondering why OU would have a dog for a mascot? Don’t you have a big wagon or something? Yes, but the wagon did not play nicely with the wooden floors of Lloyd Noble Arena. Back in the mid 80’s the coach was Billy Tubbs and he proclaimed that OU would be the Top Dog of the then Big 8 conference and thus Top Daug was born. 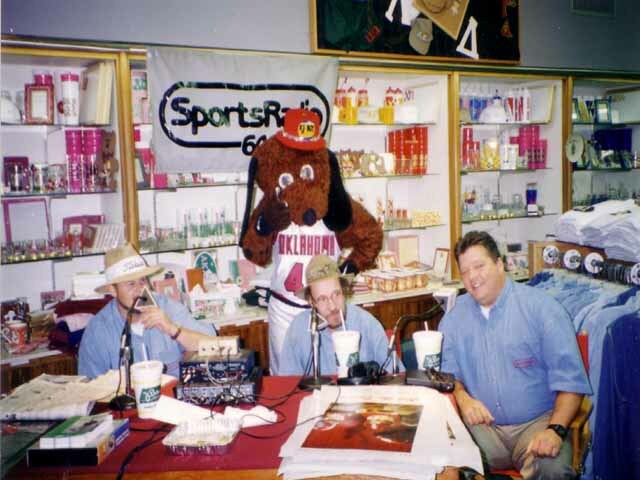 Unfortunately Top Daug was recently retired in order to make way for Boomer and Sooner, they were to become the mascots for the university athletics across the board and Top Daug is no more. It was a very fun and rewarding job. You have the ability to walk up to virtually anyone and for some reason they are very comfortable with you. Little kids would either love you or run away in sheer terror. The best part of the job was having some impact on the game by getting the crowd into the game. There was a lot of dancing, skits and half court shots, which I did make my share… there is video somewhere. There were costumes and stunts and one instance of being lowered down from the top of the arena to the floor below while losing my shorts when taking off the harness. Luckily I was in full fur. We did not have the best postseason record while I was the mascot, but I did get to travel to the Big 8 then Big XII tournaments in Kemper Arena in Kansas City and to whatever location we would land at in the NCAA tournament. We went to Memphis to play the Manhatten Jaspers. Yes those mighty Jaspers slayed the Sooners that day and we were out in the first round of the tournament. We played Stanford and let’s just say I had fun with the Stanford tree. You may get the idea…. Dog + tree =…. But in 1996 we were matched up with the Temple Owls and the game site was in Orlando. It was great! We received passes to Disney World and spent time just wandering around the park like big kids. Of course we did lose to Temple the next day but I did hit my half-court shot during half time. Orlando was a great city to visit and now that we work with the Parks & Resorts team at Disney and also my kids have been to Disney World, but it will always remind me of my time with the Sooners. Superb information here, ol’e chap; keep bnunrig the midnight oil.